The Carbon Ultra is designed to give you maximum compression and maximum comfort. While high level compression tends to be more popular with sprinters, the zoned compression of Carbon Ultra makes this a favorite of Rio’s 1500 m Gold Medalist Gregorio Paltrinieri. 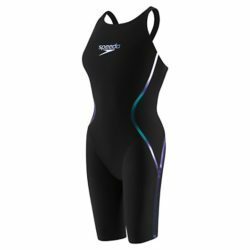 Most swimmers find the ideal fit to be one size up from your practice suit size. CARBON ULTRA CAGE with 3 times the carbon fiber of any other arena Carbon suit for multi-direction, high-density, intelligent compression. Available in an open and closed back.